Endocrine disruptors are chemicals that can mimic or block the natural hormones your body makes, the National Institutes of Health says, potentially affecting your fertility, risk for cancer, thyroid function, immune system and more. These hormone-wrecking chemicals may come from pesticides, certain fragrances, stain-resistant coatings, plastic bottles, metal food cans, detergents, flame retardants, food, toys and cosmetics. They can even be found in the dust in your home. “Chemicals can come out of our products and end up in the air and dust in the home, where they can enter your body,” says Dr. Ami Zota, an environmental and public health expert at George Washington University. Her team recently discovered 45 different chemicals that are commonly found in indoor dust, many of which were endocrine disruptors. If this is all over-whelming, we totally understand! The first step is just becoming aware of what is in your household, and then working to remove as many endocrine disruptors as you can to keep you and your family in good health. BPA: BPA can be found in plastic containers and bottles (check for recycling code 3 or 7 at the bottom as an indication) as well as cans. Research funded by the National Institute of Environmental Health Sciences found that volunteers who consumed a serving of canned soup every day for just five days had more than a 1,000 percent increase in BPA in their urine (compared with when they ate fresh soup for five days). Some studies have suggested that BPA may have adverse health effects, but the U.S. Food and Drug Administration currently maintains that the levels of BPA in foods are safe. You can reduce your BPA exposure by choosing glass and stainless steel containers. Phthalates: Phthalates are man-made chemicals that are used to make plastics, cleaners and fragrances. Frankly, they are still being studied and the full range of their potential effects on your health is still not completely known, the NIH says. Studies on animals have linked phthalate exposure with reproductive and developmental issues. 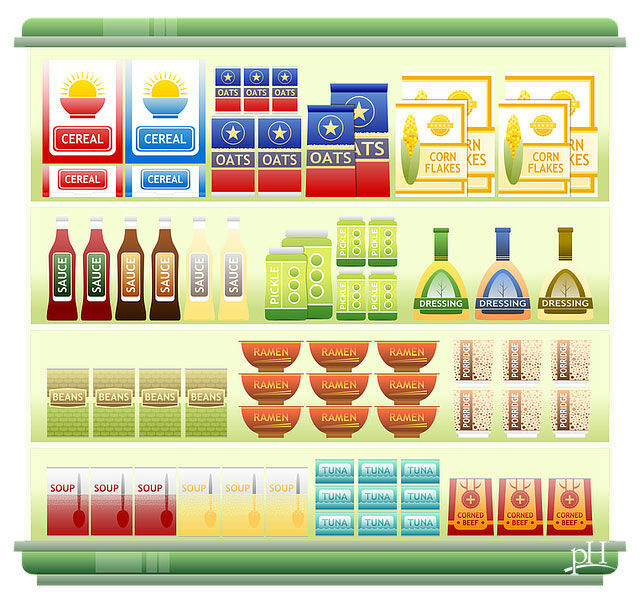 On product labels, you may clearly see phthalates, or an abbreviation like BBP, DBP or DEP. Unfortunately, if phthalates are part of the “fragrance,” you might just see “fragrance” on the label. You can look for products that are marked as being phthalate-free and fragrance-free. Perfluorinated chemicals (PFCs): PFCs are manufactured compounds used to make a variety of products that resist stains, grease and water. They are used to make pots and pans “nonstick,” furniture and carpets resistant to stains, and clothes and your mattress waterproof. PFCs are also used in some food packaging. Some studies show that aside from disrupting your hormones, PFCs may reduce your immune system function or cause developmental issues, and they may have links to low birth weight, obesity, testicular cancer and kidney cancer. The Environmental Working Group recommends avoiding furniture stain treatments, water-resistant or stain-resistant clothing, nonstick pans and utensils, paper plates and microwavable popcorn (read more here). Now that you know about three common endocrine disruptors, share this information with three friends who could benefit from this knowledge!